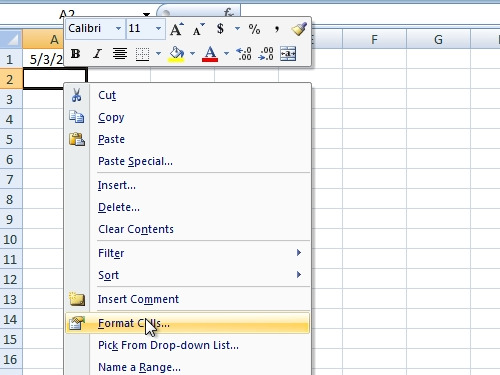 In this video tutorial we will show you how to keep excel from auto formatting dates. In order to keep excel from auto formatting dates, open the Microsoft Excel. 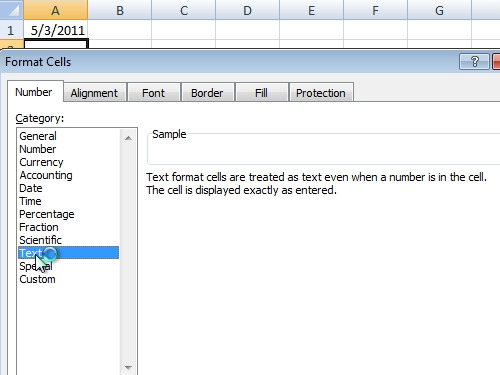 For example, type “05/03/2011” in A1 cell. As you can see excel auto formatted the date. To prevent it, right-click on A2 cell and choose “Format Cells”. In the “Number” tab select “Text” and press “ok”. Now type “06/03/2011”. As you can see, excel did not format the date.